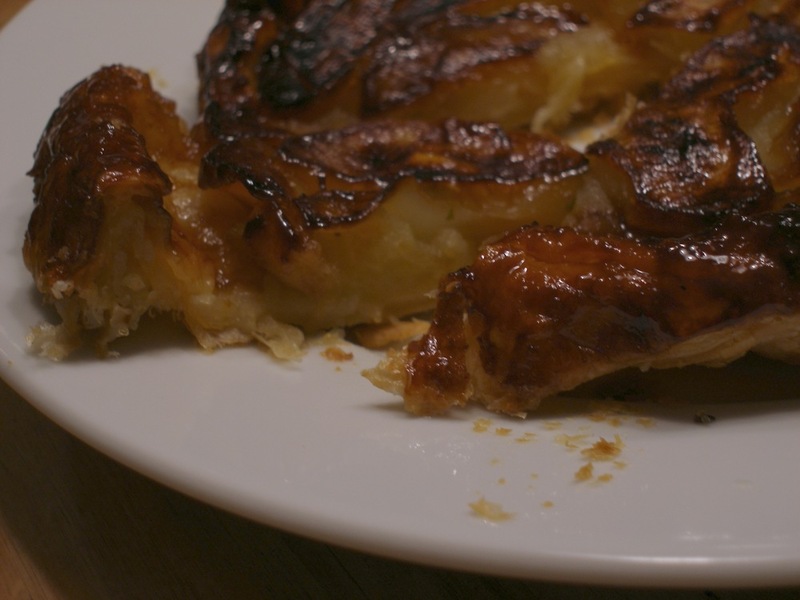 So the original legend tells that an apple tarte was made upside down by mistake—and so, I call it a confused apple pie. And the tart is still a tart with or without the e.
Heads up. There is no need to fret- you won't make a mistake with my version. There are only four ingredients. I’ve prepared this recipe thousands of times; in my restaurants, on TV shows and when entertaining guests. I haven't received one complaint yet and note, dessert plates are always empty. My only advice, as with all new recipes and techniques prepared; please first try making it for yourself before serving. I encourage practice. Your guests may not say anything, but there is nothing worse than being the victim of a first time recipe trial.